We are a steward of our community. We exist to help educate, motivate, and engage our community, our readers, in any way we can. 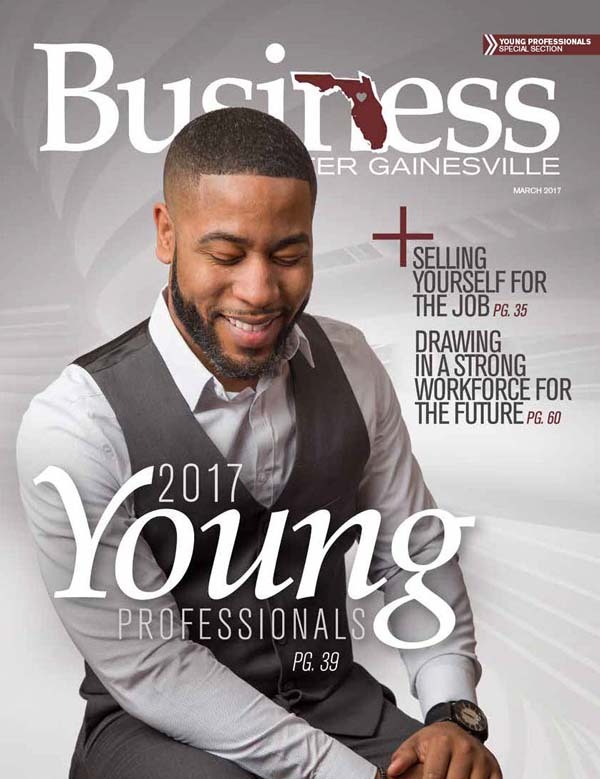 A peer of mine, Santa Fe College President Jackson Sasser, once said of my company, “You’re driving the boat, and everyone in the rearview mirror is getting farther and farther away.” This is high praise in North Central Florida, where there are 17 magazines for an area with under 200,000 residents. My company is Advantage Publishing, Inc. (API), a multi-media regional publishing agency. 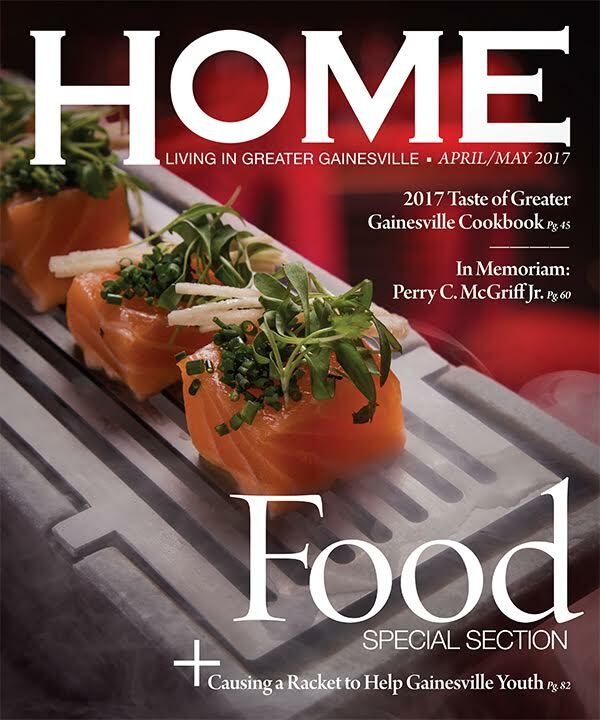 We publish three titles focused on living, working, and playing in the greater Gainesville area — HOME: Living in Greater Gainesville, Business in Greater Gainesville, and Guide to Greater Gainesville. But that doesn’t really describe us. If you asked me who or what API really is, here’s what I’d tell you: We are a steward of our community. We exist to help educate, motivate, and engage our community, our readers, in any way we can. Long ago, we made the choice not to be a transactional business based solely on selling ad space — and instead to evolve into a consultative business based on relationships. We believe this is the only way to truly serve a community, and it affects how we interact with everyone — our readers, our advertisers, our staff, and our advisors. It means taking the time to understand people’s needs; getting involved without the promise of return gain; and making the choice — again and again — to do the right thing over the fastest or most profitable one. The edge we have on our numerous competitors is that, by taking this long view, we have forged genuine, productive connections within our community. And we have created what I call “raving fans” — readers and advertisers who know us, appreciate us, and support us. Fundamentally, there are three ways we nurture this level of connection. A central way we engage with our community is through charity involvement. 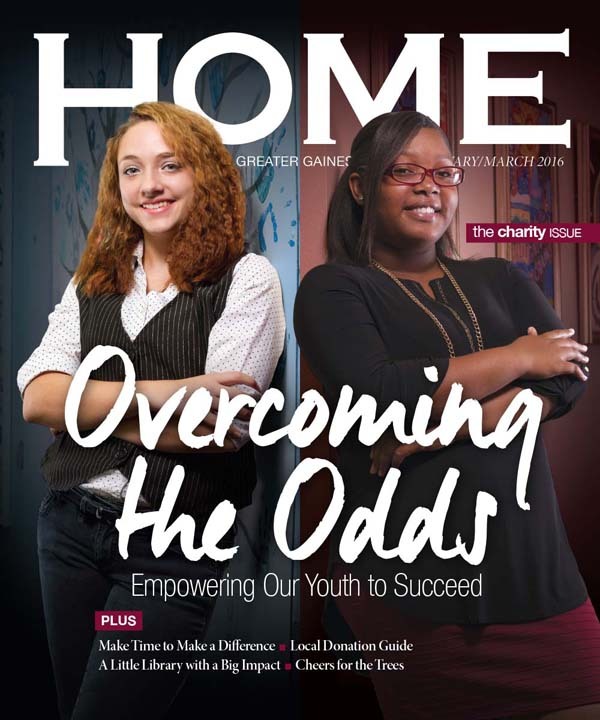 This started when we launched HOME magazine in 2007 and decided to donate 15 percent of the ad space in each issue to local non-profit organizations to help raise awareness about their advocacy missions. We continue to do this today because we believe in giving back to the community we serve. In 2010, we upped the ante and decided to host our own charity event. By this point in our existence, we had attended hundreds of such events in our region and had developed ideas about how we would do things differently. We wanted, for example, an event that was casual so attendees didn’t have to spend a lot of money on clothes and appearance. We wanted an event that was priced lower than the typical ticket so anyone in the community could go and attendees wouldn’t be limited to the top 1 percent of the population, the socialites. We wanted engaging activities and only a few tables so people would talk and interact rather than sit in one spot. 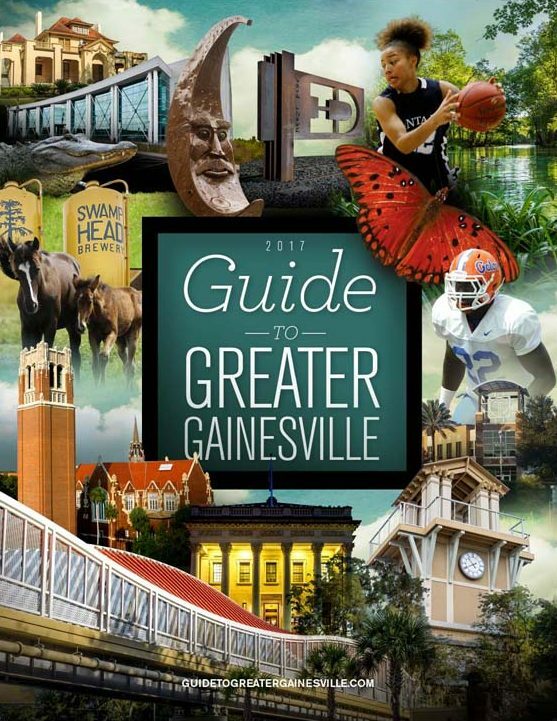 We started “Taste of Greater Gainesville” (originally, “Taste of HOME, Gainesville”). 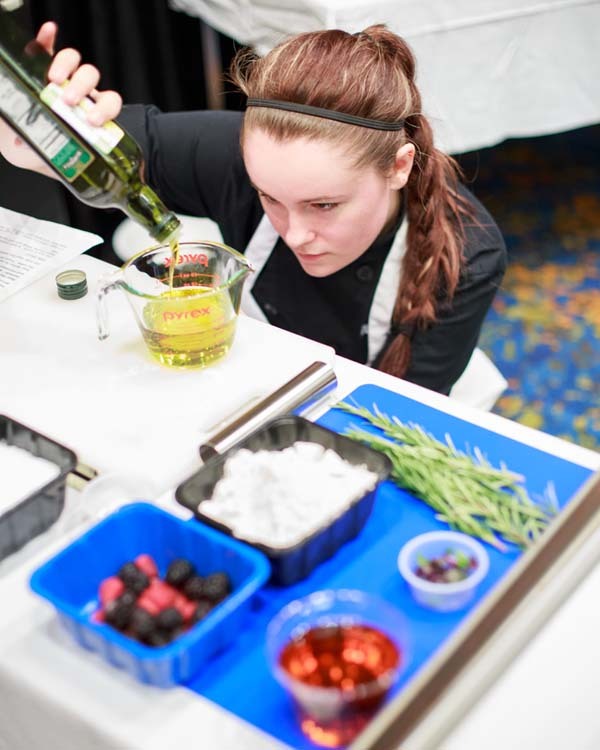 Taste is a food-based event featuring cuisine from 40 area restaurants, an Iron Chef competition judged by celebrity chefs from all over the country, and a popular auction with unique prizes you won’t see at any other area events. 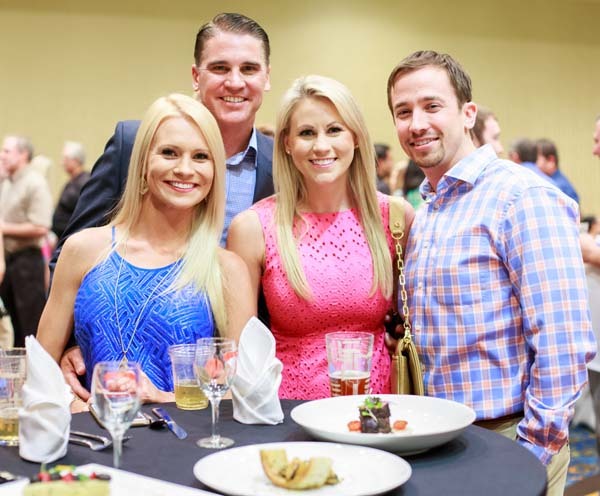 We held our seventh consecutive Taste in 2016 and have raised, in total, over $400,000 for local charities focused on child advocacy. 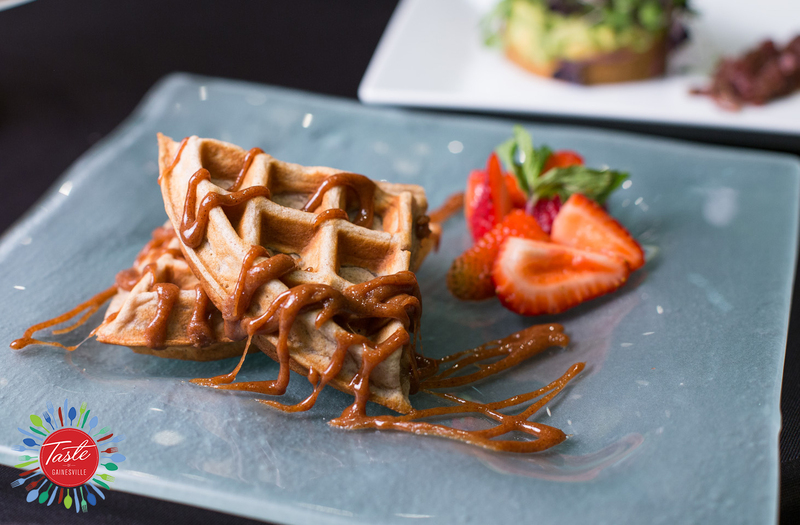 Taste has become intertwined with our company. Even though we don’t brand it as an API event (you’ll rarely even see our name on location), attendees know we’re behind it. We cover it in the magazine, running ads and profiling chefs throughout the year. The point is, the event itself isn’t meant to be about us. The focus is on the charities and bringing the community together. But the brand awareness we receive by association is invaluable. The event has become part of the fabric of who we are. So when we’re talking to potential partners — be it advertising prospects or editorial sources — and we say that we’re part of the community and we want to help promote individuals, businesses, and non-profits, there’s no question this is true. We have walked the talk. This not only gives us credibility; it makes us stand out. We’re the only publishing company in our region that gets involved in charity at all, let alone to this level. This is brand awareness, the ultimate goal of advertising. Taste was not intended to be a form of advertising for us, but it’s been the best advertising we’ve ever done. In another unique twist on community outreach, I request that each of my employees be involved with a local charity — whether serving on a board or volunteering at events. This is a way for our employees to really understand and embrace our approach to community. I tell them when they come onboard that they’re not just coming to sell advertising or work for a magazine, they’re joining a culture — a culture focused on getting involved and giving back. Ultimately, they find this involvement makes their jobs easier. If you’re an editor of the business magazine and you’re serving on a committee with business owners, those people are going to take your call when you need to contact them because they’ve gotten to know you. These connections are lasting, collaborative, and fruitful. Every decision a person makes has a subjective nature to it. The product you choose, the restaurant you frequent, the schools you select for your children. These choices are made based on some degree of like and dislike. I apply this reality to our business and everything we offer. That is, what makes somebody want to read — or advertise in — one magazine over another? I need to know the very specific reasons so we can do what it takes to be their choice. When a reader walks up to a rack with anywhere from six to 17 regional magazines on it, what’s going to make him or her pick our magazine? What’s going to make an advertiser select us? To answer these questions, we continuously solicit input from local business leaders and our readers. Each group provides a very different perspective. Business leaders give us feedback at a strategic level. Are we writing about the issues that matter to them and their peers — and that help support the growth of our local economy? Who do we need to be reaching, and how? Over time, we’ve formalized this interaction into multiple advisory boards. The primary, the API board of advisors, is made up of 12 community leaders who help with the general direction of the company. Then each magazine has its own editorial board, which helps determine strategy and content planning for that title. And finally, we have one board solely dedicated to making Taste of Greater Gainesville the best event it can be. In addition to being knowledgeable and providing strategic perspective, business leaders are connected. Time and time again, our advisors have connected us with individuals in our community we didn’t know or perhaps would have had difficulty contacting. This has not only widened our circle of influence, it has prompted new directions and great stories. Take, for example, our wildly popular feature about a 10-year-old girl named Tommie Bost. 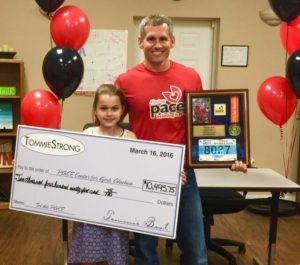 One of our board members, who also serves on the board of a local non-profit, told us about a little girl who was raising money for PACE Center for Girls (a school for at-risk middle and high school girls) by running — a half marathon. For her first race, Tommie set out to raise $1,000 and far exceeded her goal by reaching over $10,000. 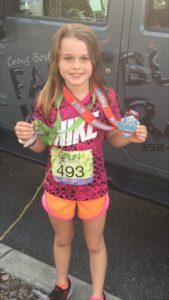 She continued to raise funds by running two more half marathons. 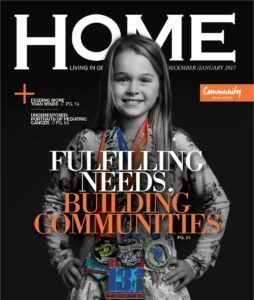 Our board member introduced me to Tommie’s parents, we wrote a story about her, and we put her on the cover of our next issue of HOME. The story resonated with readers and has been downloaded and read in over 22 countries. Recently we had a reader who held the issue up in front of the Statue of Liberty, snapped a photo, and posted it to social media. This is how we create raving fans — by telling the stories that matter to people, that strike a chord — and our advisors help us find them. Another board member suggested and helped facilitate a stronger relationship between API and the University of Florida. Now we have three columnists from the university who write for us, including the head of their MBA program. 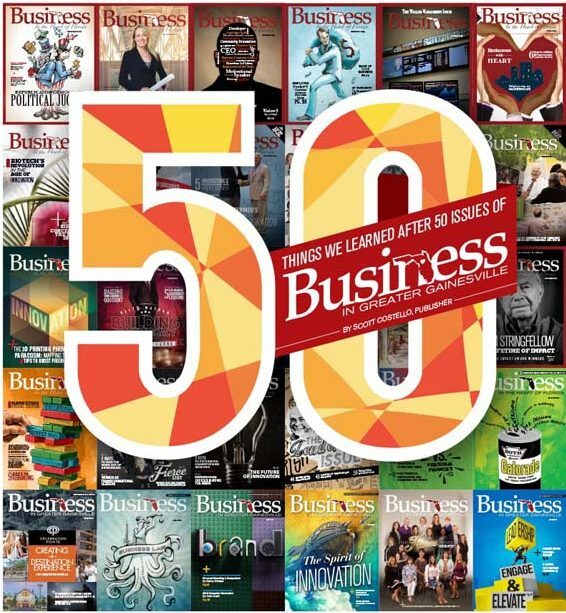 Another member suggested we use infographics more often in Business magazine as a way to deliver quick-hit, fact-based content to our business-minded readers. And another helped us realize that a regular food section would be (and in fact, is) a critical component of HOME magazine. Our readers give us a reality check. Is what we’re doing working? When we try something new, do they like it, or not? What do they want more of? Less of? We survey our readers multiple times a year using surveys and polls. Our golden rule is that we respond to every single person to express our thanks for their input — and then we try to implement as many of their ideas as we can. Our readers indicated to us, for example, that they wanted to hear more positive stories about individuals and businesses making a difference in our region. A couple of years ago, we were doing a story on Internet crimes against children — an issue that had touched our community. Instead of going with sensational headlines, we focused on the people working to solve the problem. To start, we participated in a town hall forum on the topic that included an Assistant U.S. Attorney specializing in child abuse, local law enforcement representatives, and therapists. After the event, we translated the content into a feature article for HOME magazine. We still focused on the rising issue of Internet crimes against children but in a positive and productive light. After publication, a number of readers called to thank us for the piece, and our local child advocacy center framed and hung it on the wall of their waiting room. We’re never afraid to try new things based on our readers’ suggestions, even when we run the risk of failing, because we believe this is how our magazines stay relevant and central to the community. When we implement our readers’ ideas, they feel invested and know their opinions are valued. When I say we take a “consultative” and “relationship-based” approach in our business, it is perhaps never more true than in our approach to our advertisers. We don’t look for the single ad buy; we don’t just send out a media kit; we don’t start each meeting by telling them about us. Our approach to prospective advertisers is to learn as much as we can about their businesses, objectives, and strategies to date. We poke and prod and ask questions they’ve never been asked by a publisher before. It’s only after learning about what they’re trying to achieve that we can hope to help them achieve it. When it comes time to propose a solution, we don’t put forth a prescribed set of options to meet all the typical needs. The fact is that as a multi-media publishing firm, we have a variety of products — both in print and online — that we can stretch and adapt in creative ways to meet an advertiser’s specific goals. Once we implement a plan, we check in regularly to make sure the solutions we provide are helping to achieve the stated goals; if not, we shift and adjust. We also provide creative services to our advertisers. Our team — including an art director, creative director, photographers, writers, and editors — can produce any or all parts of an advertising program, without charging like a traditional ad agency. When we take this approach, we create relationships with area businesses that view us as a partner. They lean on us, trust us, and often come back issue after issue, year after year. Often we become involved in each other’s businesses. In the case of our longest-running client, a family-run business, the daughter serves on our advisory board, the mother serves on our Business editorial board, and various employees volunteer at our charity event. They recently bought a business in an area of Florida into which we are also expanding, and they readily share their knowledge, insights, and area contacts with us. We fully realize that their success is our success and vice versa. Building a long-term relationship is much more beneficial and rewarding than selling someone a space in the magazine and then starting all over again the next month with someone else. We know who our core partners are, and we do everything we can to protect and nurture those relationships. As we’ve gotten to this level with more advertisers and contacts within our community, we’ve seen something unusual happen. We’ve developed a network wherein we see our advertisers seeking to do business with our other advertisers. They’ll call on each other, sometimes without pricing out other options, because they trust the network and want to keep their business within it. A regional publisher can’t survive in a crowded and hyper-competitive space without finding ways to stand out and truly serve its community. We’ve found that forging genuine and productive relationships with the people in our community has yielded mentors who want to see us succeed, raving fans who clamor when our magazines are a day late to the distribution racks, and area businesses who come to us to get their word out. We don’t stand outside of our community, writing about it and selling to it; we are active members in it. That is how we stay a step ahead. Scott Costello is owner of Advantage Publishing, Inc. and publisher of HOME: Living in Greater Gainesville, Business in Greater Gainesville, and Guide to Greater Gainesville. He is also the founder and board chair of Taste of Greater Gainesville, a non-profit event that raises money for children’s charities. Connect at tinyurl.com/linkedin-scostello.